Physicians have been prescribing low-dose aspirin for the past 15 years for women over the age of 45, particularly over the age of 65, based on a landmark study from the Brigham and Women’s Hospital. This study, called the Women’s Health Study, involved 39,000 women and showed a stunning reduction in the risk of stroke by 17%, especially in women over the age of 65. This significant study lead to the guidelines for the use of aspirin in women to prevent stroke. Also, some people are allergic to aspirin or have worsening asthma. Aspirin is a NSAID that can also affect kidney function. When the benefits of cardiovascular disease prevention outweigh the risks of a bleed, this medication is usually encouraged. A new study was published this month that has the general public questioning if they should be on aspirin. There have been a lot of controversial headlines in the news that suggest that the evidence has changed regarding the benefits of aspirin for prevention in a population of older adults. This study was conducted in men and women over the age of 70 (over age 65 for Blacks and Hispanics) in both the United States and Australia. The most significant finding of the study was that there may be no benefit to starting aspirin in men and women over the age of 70, as it did NOT show improved “disability-free survival.” This means that aspirin may not help you to live longer without disability if you had NOT been previously started on treatment. There was also a reported small increase in mortality, particularly cancer-related mortality, in patients taking aspirin. However, the increase in mortality was only seen in the Australian population. This speaks to the fact that the study results may not be generalized to all populations and countries. This means that without further randomized controlled trials we don’t know if the increase in mortality is a definitive finding. The study is aimed at determining the risks and benefits of starting aspirin in patients, men or women, for prevention of cardiovascular disease over age 70. It does not speak to patients who are already taking aspirin. Importantly, the study does NOT apply to those who are taking aspirin for treatment of cardiovascular disease or at high risk (prior history of heart attack or stroke). This means that if you’ve been on aspirin for treatment of heart disease, this study should not inform decision-making on whether or not you should be taking aspirin. Previous studies have suggested a possible cancer survival benefit to aspirin that can be seen in longer-term studies when aspirin had been used for at least 5 years. There is no reason to necessarily stop aspirin if you’re already on it and doing well. If you have a history of coronary artery disease or stroke barring side effects, it is important to keep taking aspirin under the advisement of your doctor. 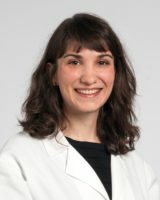 Jessica Erickson is an Internal Medicine resident at the Cleveland Clinic. She attended medical school at the Lewis Katz School of Medicine at Temple University. She has contributed to several published research papers in clinical medicine and quality and safety research. 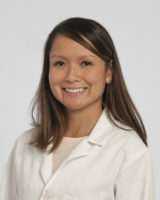 Anna Camille Moreno is a Clinical Fellow in Women's Health at Cleveland Clinic's Center for Specialized Women's Health. Dr. Moreno graduated with honors from Ohio State University College of Medicine in 2017.